Under Construction. Brand new four bedroom, three full bath, two car garage is scheduled to be move-in ready November 2018. 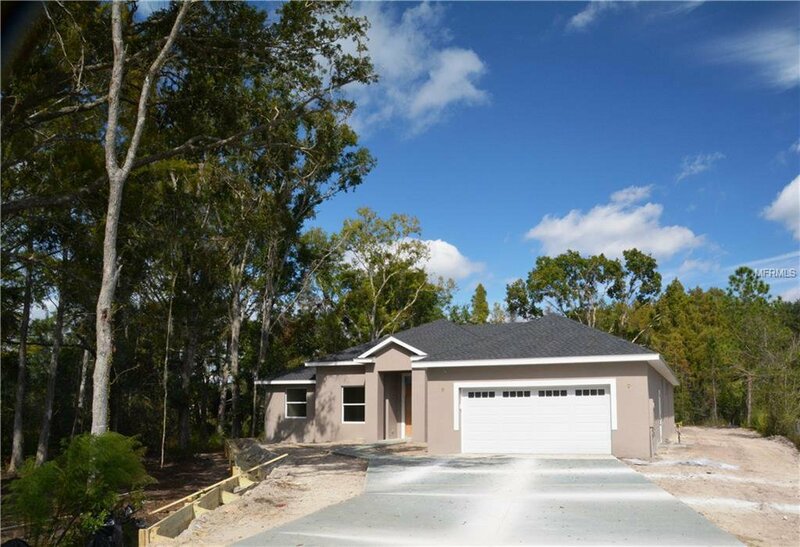 The close proximity and easy access to local highways will provide you easy access to the Orlando area as you please yet allow you to come home among the trees! This brand new home currently under construction features Four Bedrooms, Three Full Baths and a separate Den/Office with a full sized Two Car Garage on a one and a quarter acre fully wooded lot. Split Bedroom layout with a large Kitchen and Family Room. Wood plank tile throughout living areas. The Kitchen features granite counter tops, 42" uppers, and a large center island! Stonework and shutters to be added to front. Covered rear porch and open back yard. Plenty of room for a pool! Backyard is mostly mature trees for your enjoyment. The Wedgefield community features a newer elementary and middle school, a country club golf course and restaurant, ball fields and volleyball and basketball courts, playground, along with access to the 9,515 acre Hal Scott preserve and miles of horseback riding trails, trail biking, hiking, and fishing. HOA membership is optional. Builder and separate structural warranties included! SR 50, SR 520 and SR528 are only minutes from your doorstep for easy commuting to the the Space Coast, Lake Nona, Medical City, the Orlando International Airport, theme parks and downtown Orlando. Builder is offering closing help with its Preferred Lender. Listing courtesy of NEW SOUTHERN PROPERTIES INC. Selling Office: NEW SOUTHERN PROPERTIES INC.